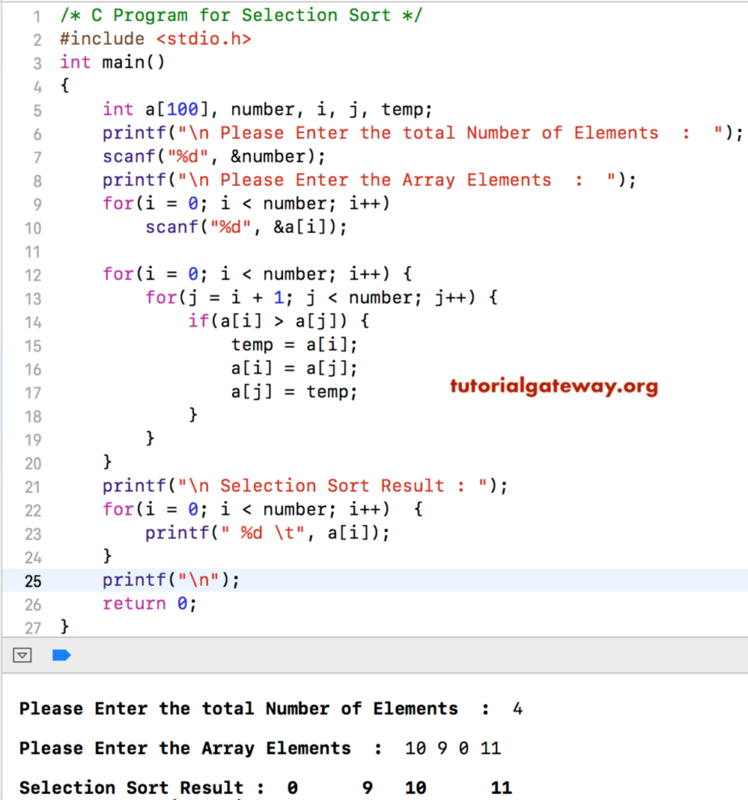 In this article, we will show you, How to write a C Program to Sort Array using Selection Sort with practical example. This program for selection sort in c allows user to enter the array Size, and the row elements of an Array. Next, we are using Nested For Loop to sort the array elements using selection sort. Here, in this C selection sort program, For Loop will make sure that the number is between 1 and maximum size – 1. Now the array will be 9 10 0 11. Now the array will be 0 10 9 11. In this selection sort in c program we used slightly different approach to demonstrate the selection sort. This selection sort in C program is same as the first example. However, we separated the logic using Functions and Pointers to swap and sort array elements by selection sort.